Spring is almost here and it’s almost time to get your pond opened for the season! When it comes to spring, the first thing that comes to our mind is plants, not just plants for the landscape but also plants for your pond. There are so many plants to choose from out there, but here are some of our top pond plants to brighten your pond this spring! The aquatic blue iris is one of the first plants to bloom in the spring. While there are hundreds to thousands of aquatic irises, we really love the blue flag iris because it is native to our area! These lovely plants can grow up to three feet tall and are at home in the moist to wet soil of the garden. They prefer part shade and are salt tolerant. They bloom in shades of pale indigo to purple. 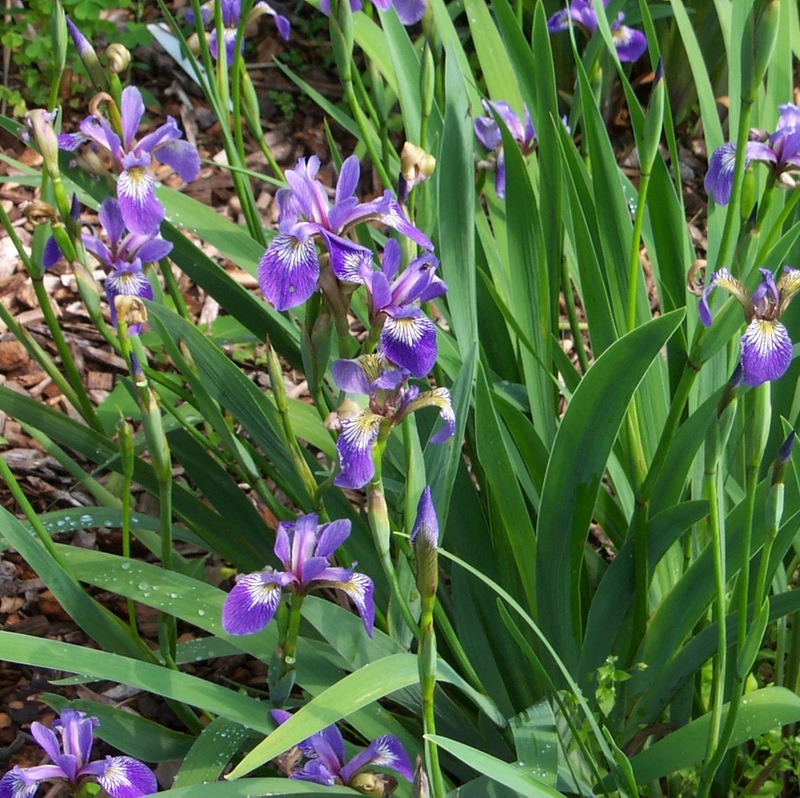 Deer generally stay away from the blue flag iris, while hummingbirds are known to stop by and visit this bright pond plant. Who doesn’t love a water lily?! They provide shade for your pond, while also providing a place for your fish to retreat to from certain predators…and frogs love them! 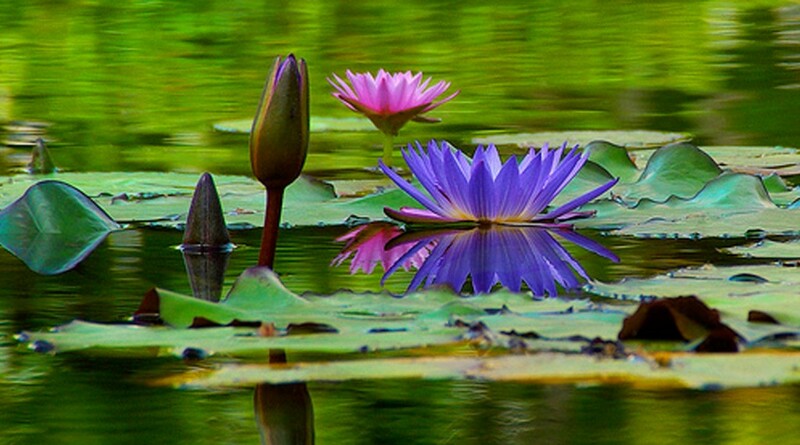 Water lilies come in two types; hardy and tropical, depending on your preferences. Water lilies come in so many colors; pure white, orange, deep pink to almost black, and everywhere in between. Looking for fragrance? There are certain water lily’s that are highly fragrant, mildly fragrant, and some that have no fragrance at all. 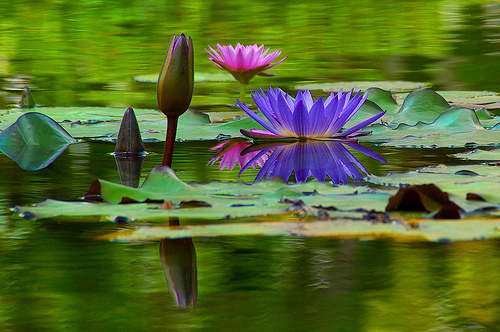 Water lily’s are one of our top plants for the pond, because they always brighten up a pond! Pickerel rush is a native plant of North America, but can get a bad reputation for being invasive. While in uncontrolled areas, pickerel rush may spread quickly, but in a pond, pickerel rush is easily controlled by keeping the rhizomes in a pot. Pickerel rush has large, glossy, dark green leaves growing to 30″ high. It also has beautiful flower spires that range from deep to soft blue-purple. 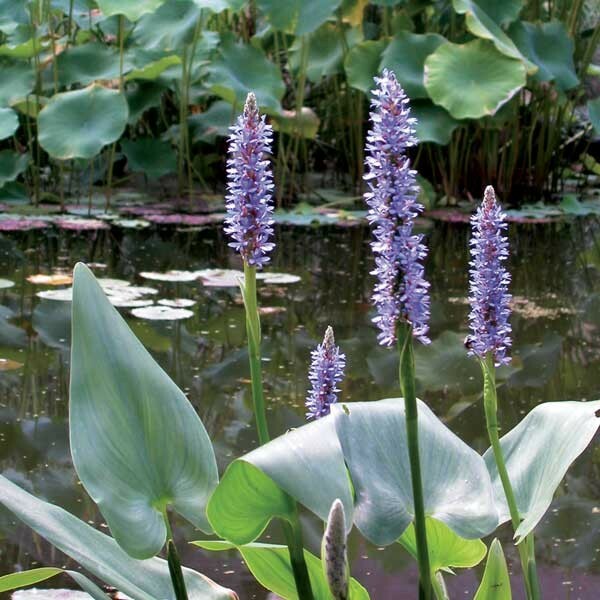 Plant this great pond plant in your pond under full sun to part shade…and enjoy! Never heard of it? Not many people have, but this plant is in high demand! This awesome pond plant is hardy from zone 2-11, grows in full sun to part shade, blooms in a lovely shade of white to light pink from April to June. 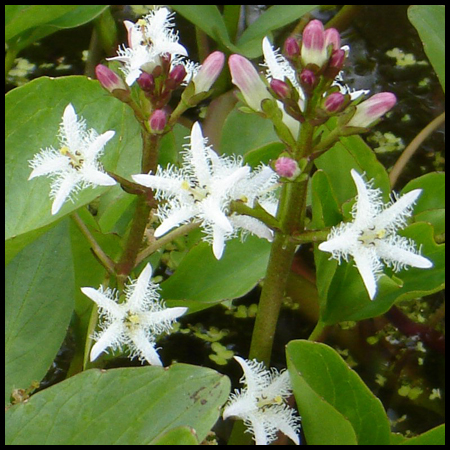 The flowers are the star of this pond plant; blooming 6″ or so above the water, the plant blooms in clusters with small star shaped flowers that have a soft fringe look in shades of white and pink. If you’re ready to add some plants to your pond, or maybe start a new pond project, give us a call today! Check out Ponds 101 to see answers to some frequently asked questions.